First time Trying to upload pictures, I hope it works. Iced! and in Canada of all places. Yes Zamboni's use a different plug, as the J1772 standard is quite common now days it would make sense if they used J1772.....the chargers I've seen on a Zamboni looks to be wall mounted and give off quite a bit of heat, I'm thinking it may have the "charger" on the wall vs charger in the car like our Leafs and other devices that use J1772. jjeff wrote: :lol: Iced! and in Canada of all places. But it's entirely possible... Maybe Red Green retrofitted the charger to be an OBC and made the hardwire connection into a J1772 outlet. You can buy those on Amazon cheaply. Unlikely, but possible. I peered thru the vent holes when I took the pictures and did see a control board with flashing lights etc. feeding what looked like lead acid packs somewhat like a forklift. 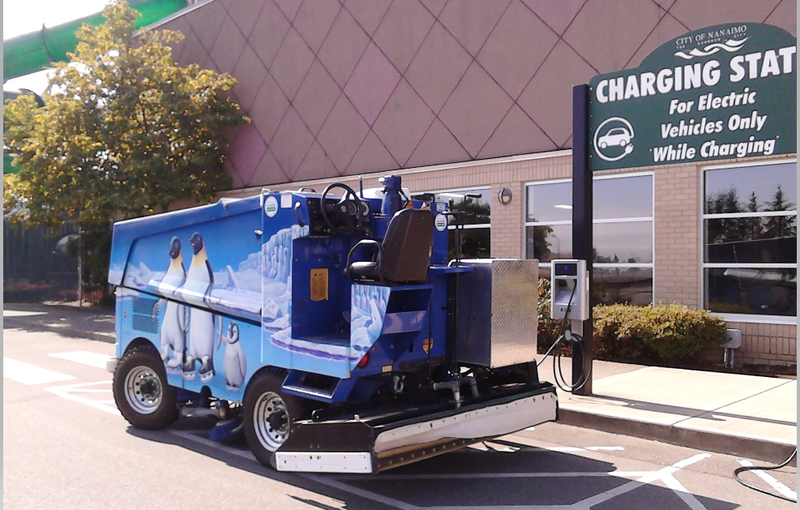 By the time I got back the Zamboni had left , maybe off to the local DCFC for a top-up? Not a real big town here so I expectations are high to someday meet the owner and investigate further. So the Zamboni guy is getting his fuel for free?? 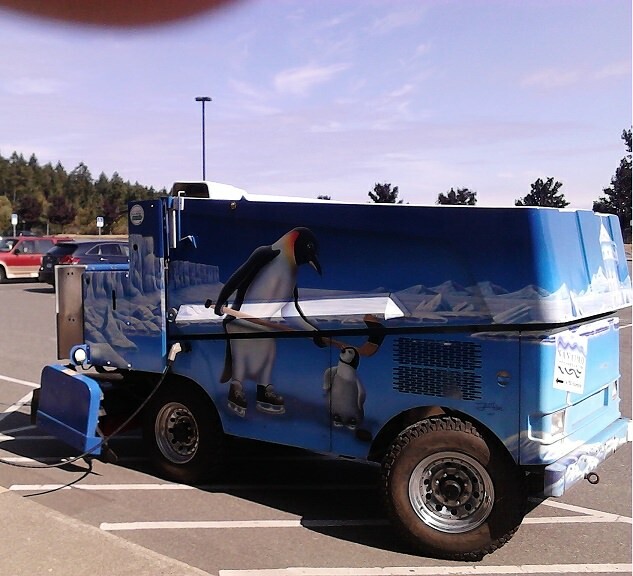 powersurge wrote: So the Zamboni guy is getting his fuel for free?? Think of it as performing a service essential to public safety - there'd probably be (polite) riots in Canada without hockey and curling!